Compared to many other varieties of shellfish, mussels are cheap and plentiful. They can be served in their shells to add aesthetic quality to soups, pastas and starters – just be sure to give them a thorough clean in cold water and remove any remaining straggly 'beards'. 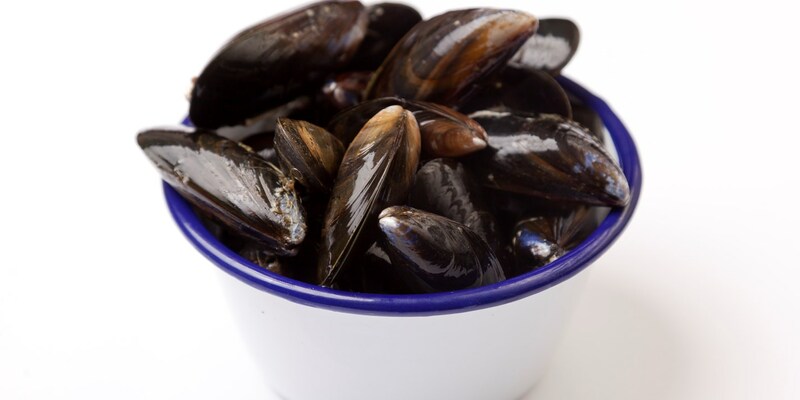 Browse this collection of mussel recipes for some fantastic foodie inspiration, and learn how to cook mussels at home like a pro. Mussels are a familiar sight in bowls of seafood spaghetti, a tradition continued by many of our chefs – with a few twists! Rosanna Marziale uses squid ink to create striking black pasta in her seafood tagliatelle recipe, contrasting the dark pasta and mussel shells with vibrant roasted tomatoes and dots of mozzarella purée. Lorenzo Cogo's orecchiette recipe is served with watercress purée, mussels and bergamot, while Daniele Usai's Chilli and garlic spaghetti recipe is topped with juicy mussels and a scoop of mussel sorbet (yes, sorbet).